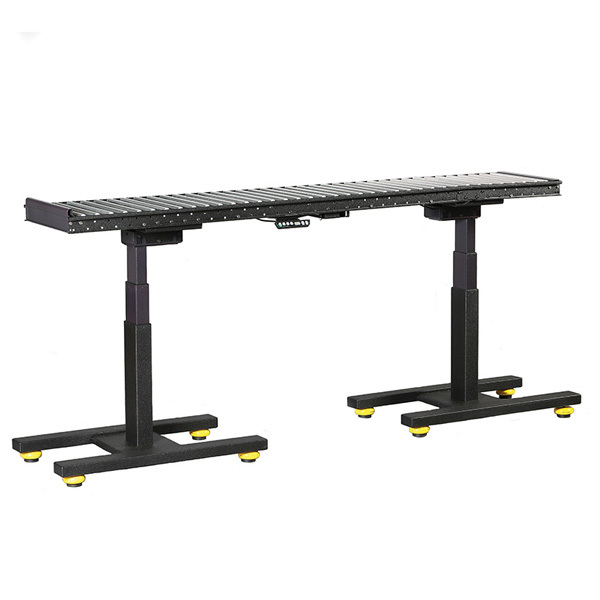 This Modular, Height Adjustable Frame sets a new standard for flexible bases. 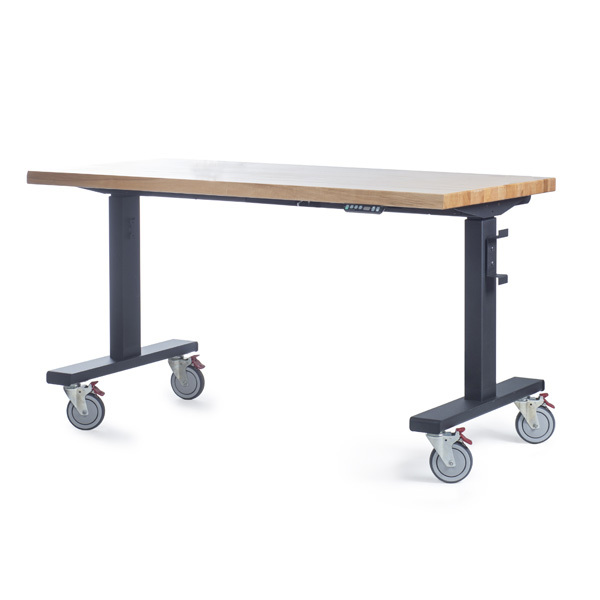 Industry leading electrically driven actuators lift up to 3500 lbs at the touch of button powering your work center into the most ergonomic position. 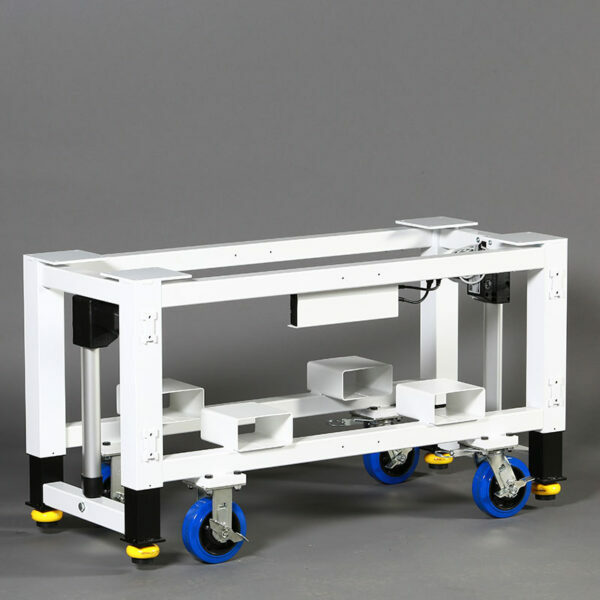 Stabilizing pads ensures the base is rigid and secure when in the up position while large, over sized swivel casters provide easy mobility when grounded. The days of a single use base are over, with a unique modular design, steel tubular cross sections can be easily replaced at any point in the future allowing you to rapidly size up or size down your base width and depth depending on your needs. 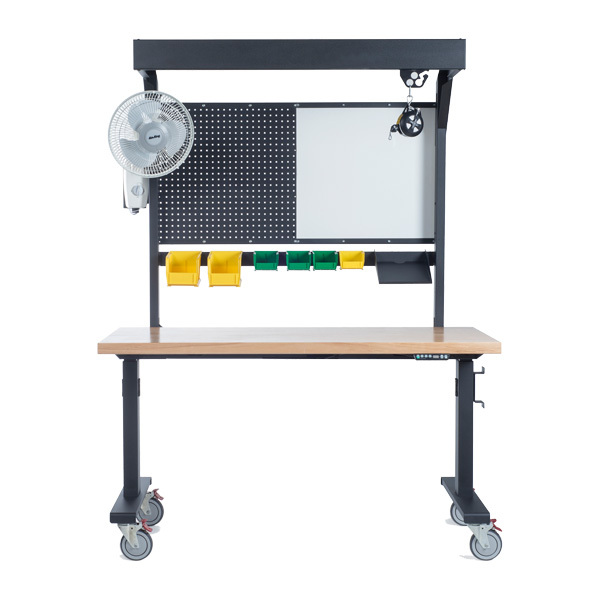 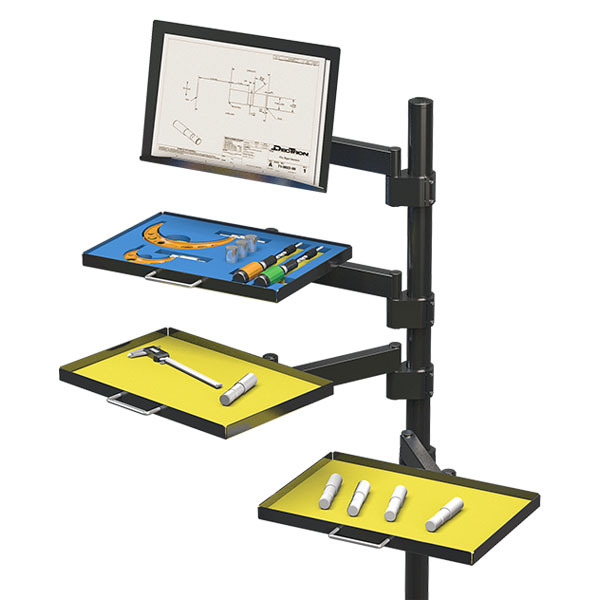 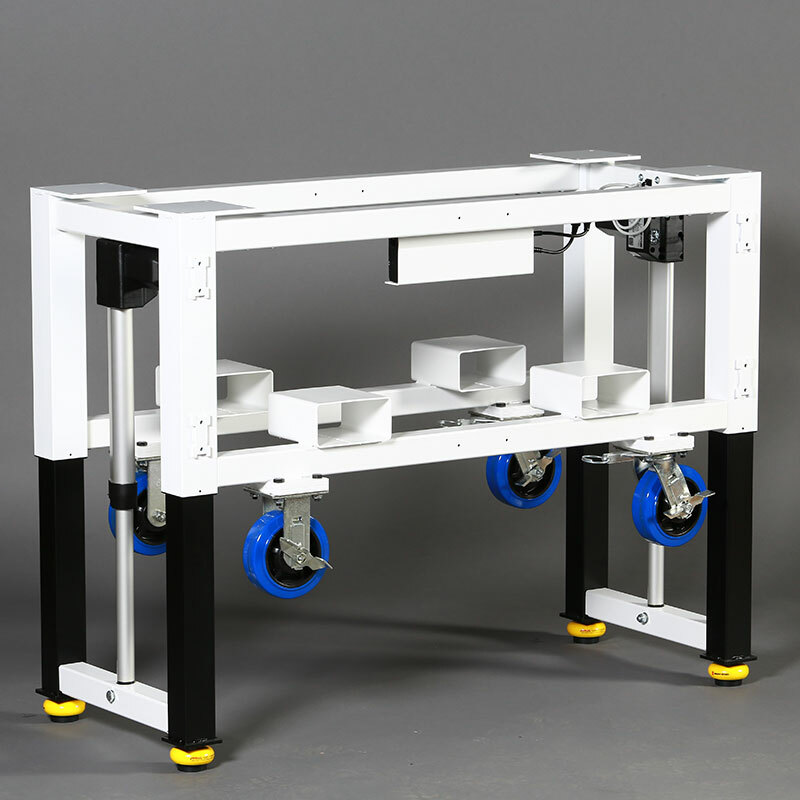 This rig is ideal for supporting custom machines or can be used as a heavy duty work bench when paired with a bench top.